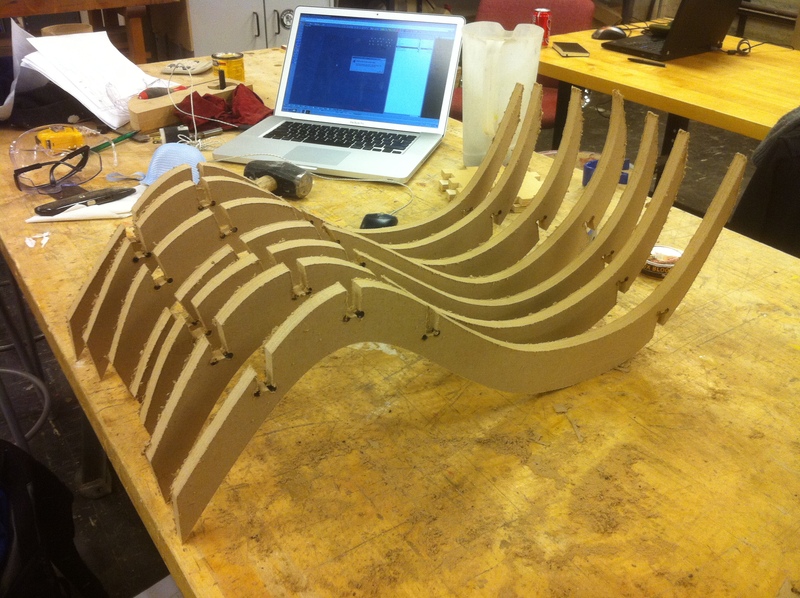 The project started as a quick CNC-based geometrical experiments of playing around with curve-based structure. 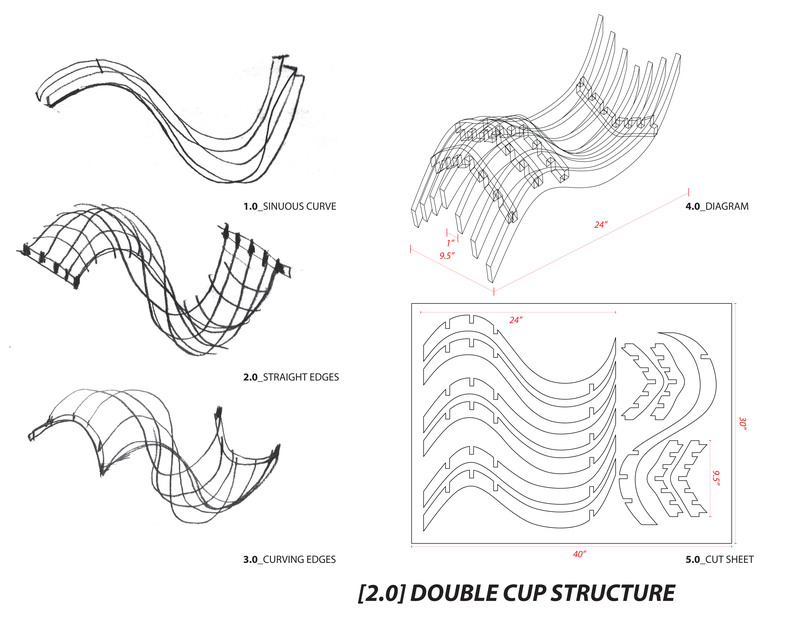 The first attempt was to create a double parabolic cups with different alternatives: straight edge and curvy edge. 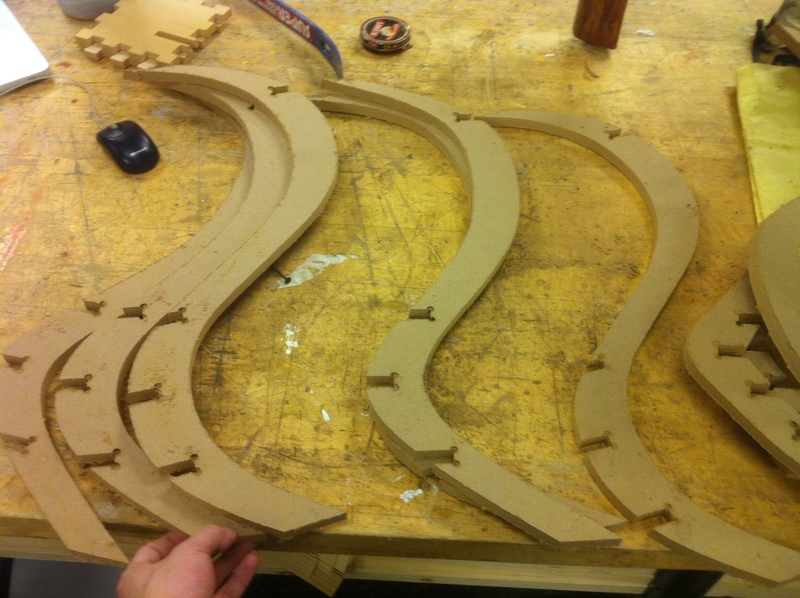 The latter one was modeled in Rhino and prototyped through series of MDF stripes. 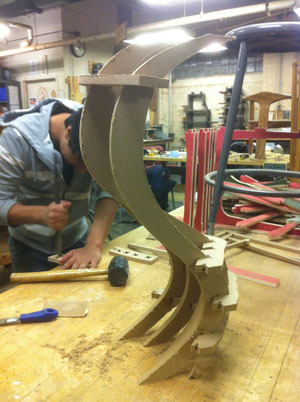 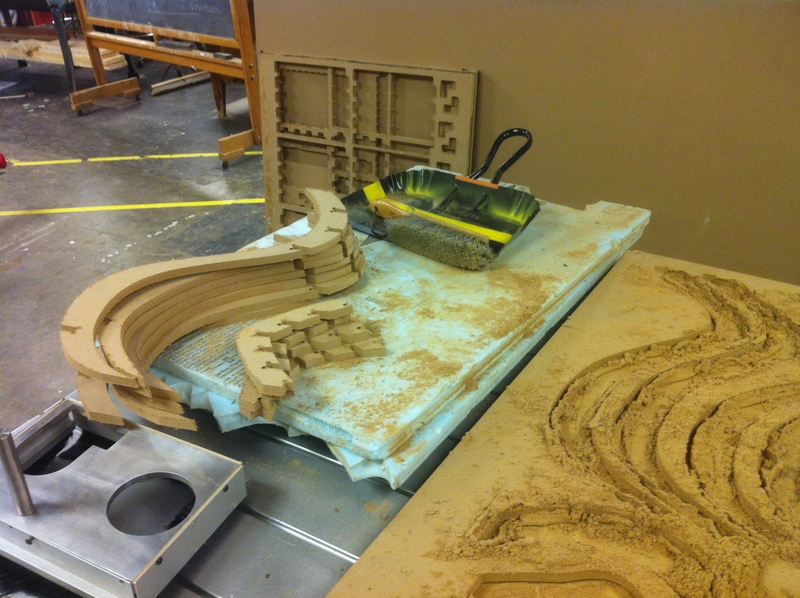 The pieces were cut on 0.5″ thick MDF measured 30″x40″ in 45 minutes using the Techno-CNC machine with the 1/4″ drill bit. 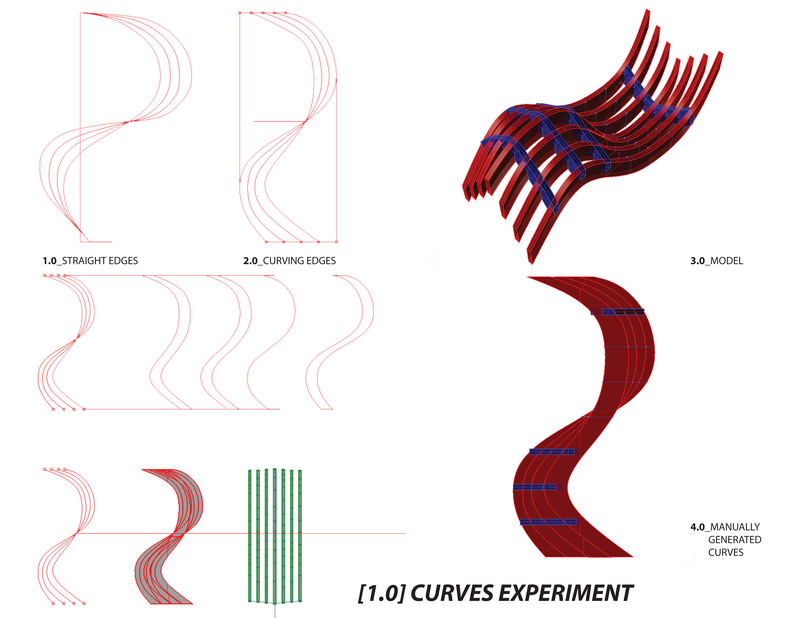 The videos and photos below describe the process and problems I encountered during prototyping and assembling the cut parts. 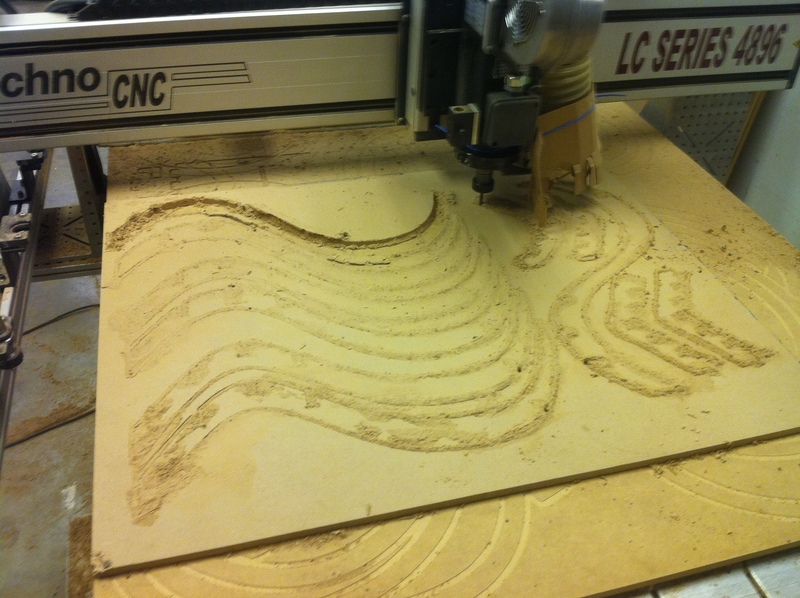 MDF board cut at 18000 rpm. 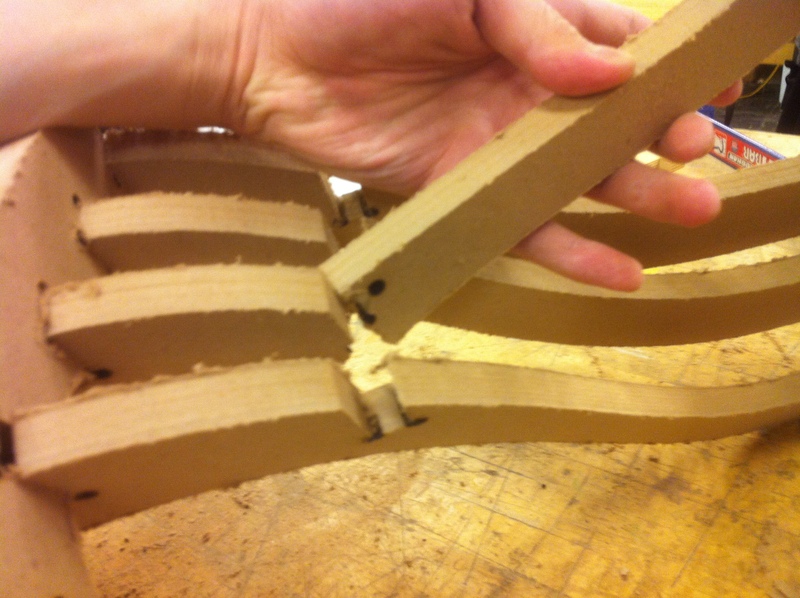 Dog-bone notches cut at board thickness (0.5″). 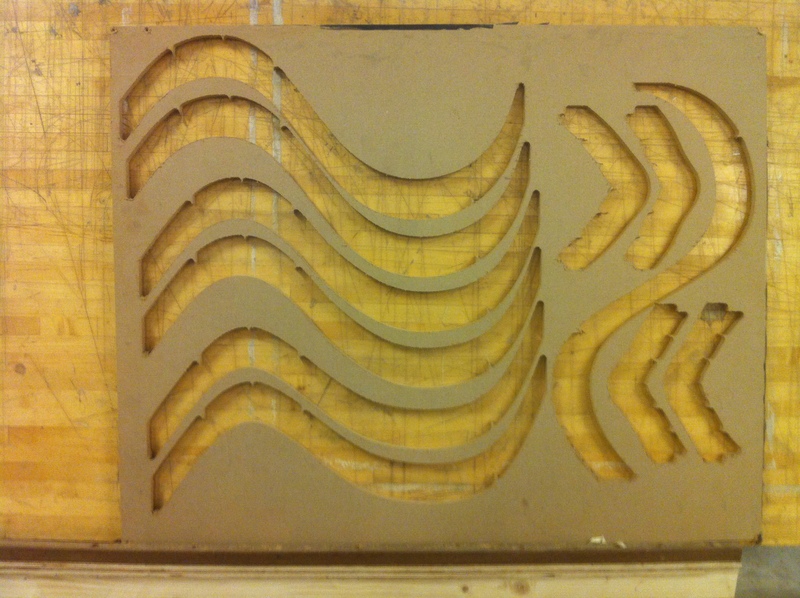 The VisMill program somehow didn’t send the 3-pass drilling action we set; instead it did everything at once, hence the rough corners. 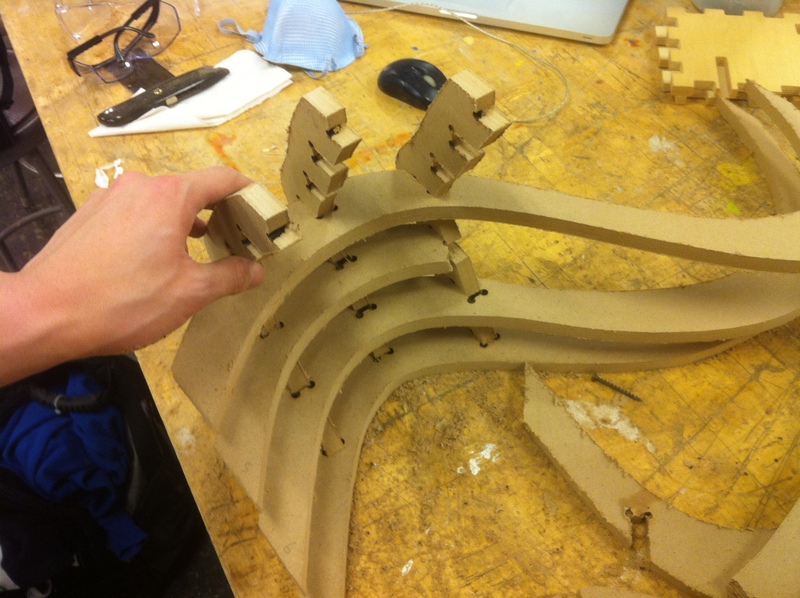 Inaccurate manually-built-Rhino model caused in notches without enough tolerance to fit to assembly. 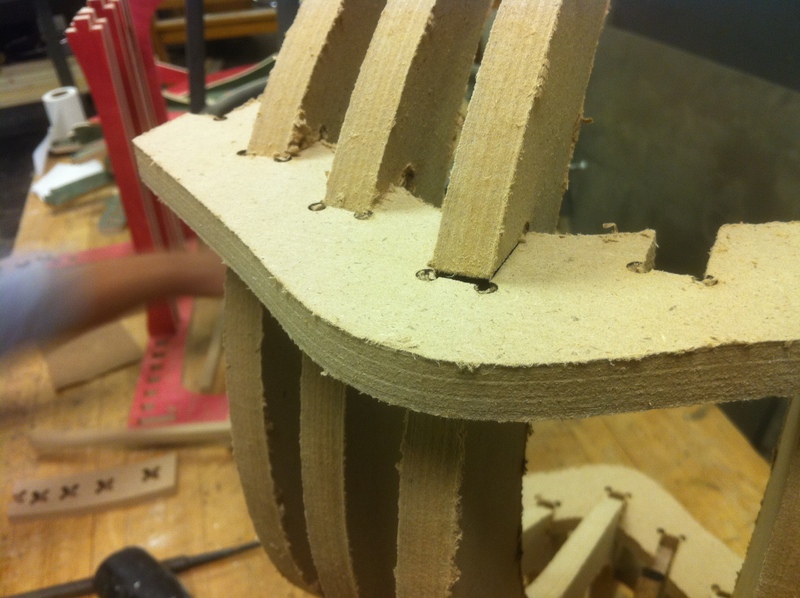 The stripes broke easily at breaking points where the MDF’s eaten away significantly and forced to bent.